For many residents of northern Maine, the arrival of autumn after an interlude of Indian summer is a mixture of bitter and sweet. For many residents of northern Maine, the arrival of autumn after an interlude of Indian summer is a mixture of bitter and sweet. The stunning blue bowl of sky over a riot of flaming colors compensates us (somewhat) for frost-blackened garden crops. However, Mainers feel a warning prickle on the backs of our necks. An unseen predator stalks us through lengthening nights and slow-to-warm mornings. There is now an urgency to the chores we have ignored — splitting and stacking the firewood, draining the hoses, closing up storm doors and windows, setting up markers down the length of the driveway to guide the snowplow. 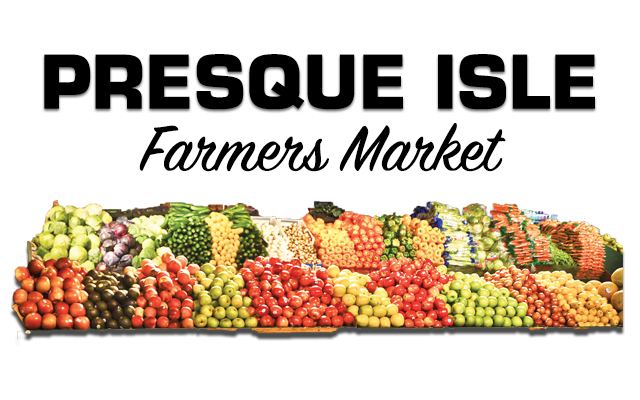 On the last Saturday in September, the vendors participating in the Presque Isle Farmers Market at Riverside reluctantly packed up their tables and signs, cash box and record books, business cards and brochures, and any “merch” that has not sold, one last time and with regret. High tunnels may stretch the season into late fall for some members, but most of the rest of us are just done with greens and beans, potatoes and tomatoes, jams and yams; we need to put the beds to bed. As we depart the 2018 season, we say thanks to the friendly, supportive and cooperative City of Presque Isle who acted as our host. The city provided signage and radio spots, a roof for (remarkably few) rainy Saturdays, a mostly paved parking lot, and even an ADA-approved ramp to help our customers navigate. The vendors found the “new” downtown location to be a welcoming site. Likewise, our ever loyal, supportive customers followed us or found us in our new digs and continued to make their Saturday morning pilgrimage to find good things to buy. We want to express our gratitude to those old friends and new friends most of all. They support local agriculture and local artisans, appreciating the distinction of flavor, freshness, and one-of-a-kind-ness available in a local market. As customers read this, they may say to themselves, “Oh no, no more market? Now what do we do?” No fear — we have your back. Firstly, many of your favorite PIFM vendors will be participating in the Harvest Market at the Micmac Farm scheduled for Nov. 17. Local, fresh and nutritionally dense “mean greens and salad fixin’s” are currently experiencing a faux summer under plastic in high tunnels; they should be ready for a November debut. Additionally, plan on a wide selection of late fall fruits and vegetables, meats, preserves and non-perishables to stock up for winter. Secondly, visit https://www.facebook.com/pifarmersmarket/ and look for the link to our website. Contact information will be available soon for a number of vendors whose wares you admired and enjoyed all summer. They may be planning a holiday event you can enjoy or might be happy to ship a gift for the holidays. Spread the wealth. Purchasing gifts that support Aroostook County folks and that are sure to please friends or family is a win-win…much less sorrow and more sweet. The Presque Isle Farmers’ Market president for the 2018 season is Deena Albert-Parks of Chops Ahoy Farm in Woodland. For information about participating or visiting the market, contact her at hoctrainer@aol.com.